Using LLLT or PBM Therapy stimulates the regenerative process at the cellular level. This modality begins building a new and healthy body with whole-body restorative light treatment. PBM therapy will start the restorative process of your entire body in just an 8 to 15 minute session. The Washington Post issued a blog about the use of PBM to treat a variety of medical conditions as well as promoting wellness. The FDA is in final review of an Industry Guidance to approve PBM for curative treatments. Stimulate the regenerative process at the cellular level to begin building a new and healthy body with whole-body restorative light treatment. Low Level Light Therapy has been shown in clinical trials to increase cellular metabolism, which can help reduce pain and inflammation as well as speed up tissue repair. Check out this video from Novothor. 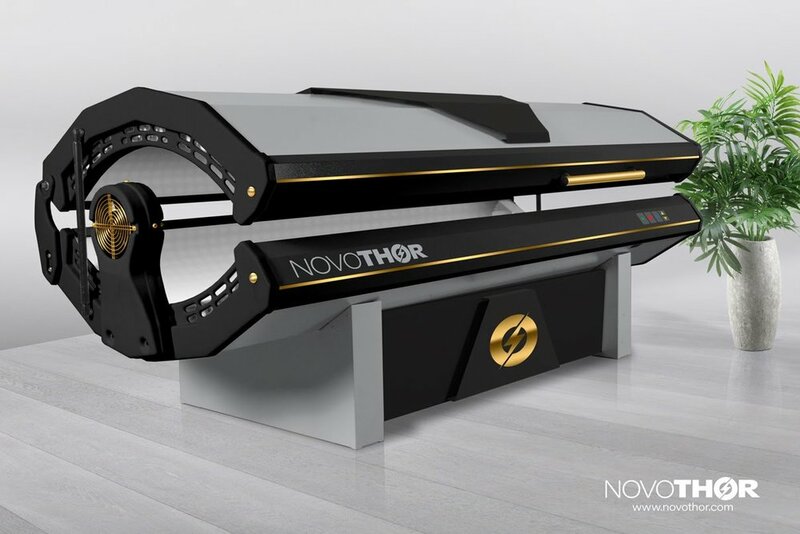 NovoTHOR® is a whole body delivery system of Low Light Level Therapy (LLLT). LLLT, or as it is now called, PBM therapy, is a proven modality that works efficiently and quickly to reduce inflammation. It is designed to deliver optimal wavelengths, power densities and dosages based on published clinical research outcomes. This is achieved via PBM Therapy’s ability to reduce oxidative stress which is accepted as the underlying trigger for most diseases and degenerative conditions. Oxidative stress is also a component in the inflammatory phase of acute and chronic injuries. Read more information on NovoTHOR. What that means to you is a whole-body restorative light treatment that is remarkably effective and fast. The advantage of the NovoTHOR system is that it works on the whole body in just 8 to 15 minutes. The treatment may be repeated two or more times a week, depending on your body’s needs.